GLENN RYAN HAS stepped down as Longford senior football manager after a five year spell in charge of the county side. Ryan’s decision was confirmed this afternoon that he was set to vacate the position in the Leinster county. Longford bowed out of this year’s All-Ireland senior football championship race with a Round 2 defeat to Wexford having earlier lost to Wicklow in the provincial championship. They had also endured a difficult spring this year as they suffered relegation from Division 2 of the football league. Injuries to key players were a factor in their run after finishing bottom of the table as they lost their seven games. Ryan initially took over as Longford boss in the wake of guiding the Kildare U21 side to the Leinster title and All-Ireland final in 2008. In his debut season in 2009, Longford were defeatedby Wicklow in the Leinster championship but they bounced back to beat Leitrim and ran Kerry close in the All-Ireland qualifiers. The following year Longford claimed a famous qualifier win over Mayo in Pearse Park before subsequently losing out to eventual All-Ireland finalists Down. In 2011 Longford were crowned Division 4 league champions and the last year they claimed the Division 3 league title. 2012 also saw them notably defeat Laois in their Leinster championship opener in Pearse Park. Potential contenders to replace Ryan include Eugene McCormack, Declan Rowley and Paraic Davis. Email “Glenn Ryan steps down as Longford senior football manager”. 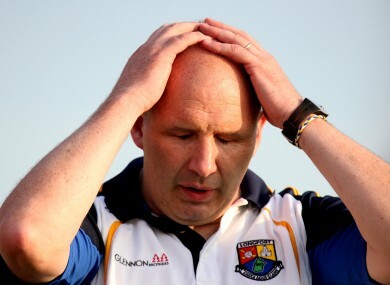 Feedback on “Glenn Ryan steps down as Longford senior football manager”.